Welcome to Canada! Every year Canada welcomes around 65,000 new Canadians from coast to coast. Starting your new life in British Columbia, or any province for that matter, can be a challenge but there are resources and people available to help families and individuals settle into their new homes. Here in Kelowna BC, the dedicated staff at Elite Auto Centre can help new Canadians secure and finance their first vehicle, even if you have no Canadian credit rating. Having access to reliable transportation is an essential part of building your new life. 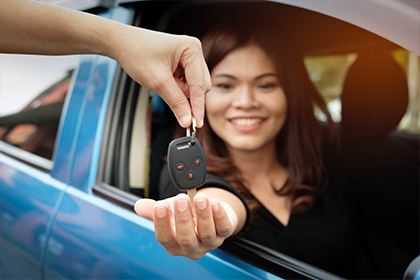 According one survey conducted on behalf of RBC, 26% of new Canadians report needing a vehicle within their first year in Canada but 39% of those are unsure how to finance one. Building your credit history in Canada is simple when you work with a trusted lender and negotiate affordable monthly payments for you new vehicle. The easiest way to start building your credit score is to establish a good relationship with lenders through an auto loan and consistent monthly payments. Making these payments on time and in full will ensure you keep in good financial standing and give you the great credit you'll need for future purchases and loans. While other bills such as phone, credit card or utilities will all help you build your credit, a vehicle is another great way. If you're new to Canada and want to learn more about establishing a credit score and financing a vehicle with no credit, contact our credit specialist Rachelle at 1 (888) 625-6547.